I love taking traditional recipes and adding a little something to them. 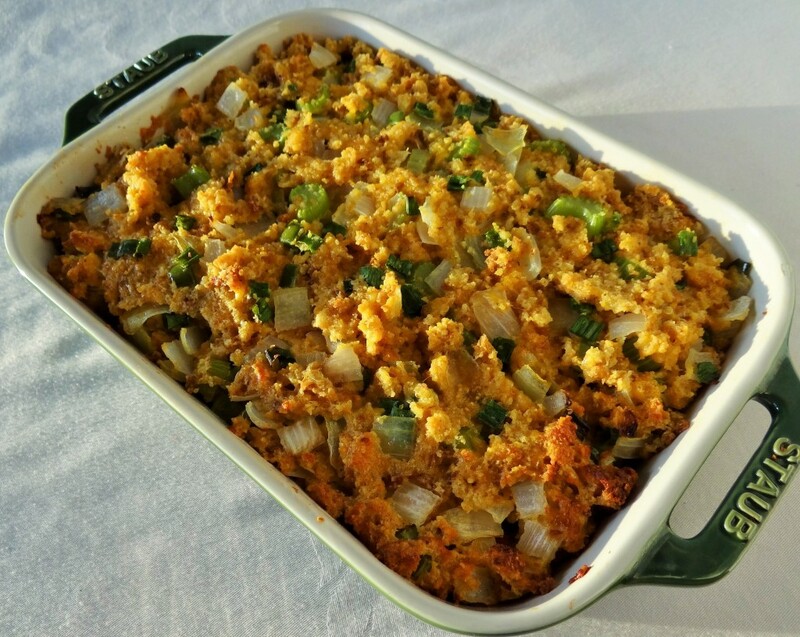 I have my tried and true stuffing recipe that I learned from my mom and have made for probably 20+ Thanksgivings. Those recipes are great, but it is just the same-o, same-o. You know, every year at Thanksgiving you saute the onions and celery, which, by the way, fill the house with the first aroma of Thanksgiving dinner. Then you bust open the croutons, or stuffing mix or even dry out some day-old bread to make that stuffing, or otherwise known in the south as dressing. The one you always do. It tastes great, you love making it, but this may be the year you decide you want a little twist on the traditional. Well, I have just the recipe for you. 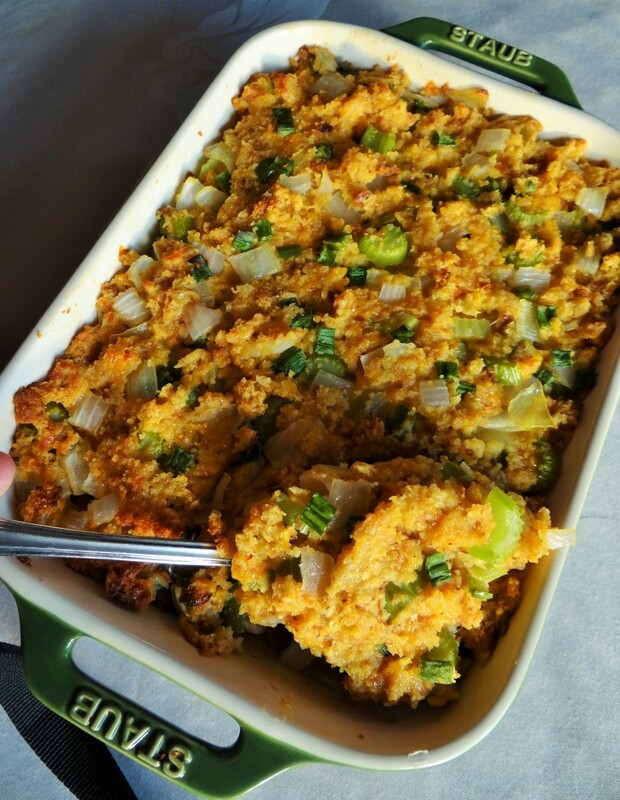 My daughter found this recipe for Jalapeno Cornbread Stuffing in Southern Living Magazine and asked me to make it one year. Well, I have to say, it is now the “traditional stuffing” in our house. You take the basics, and add jalapenos, lager beer, sharp cheddar cheese and green onions for an amazing new flavor burst to your regular, every day stuffing/dressing. Happy Thanksgiving with a twist! Heat oven to 375 degrees. Butter a 9 x 13 inch baking dish. Meanwhile, saute onions, celery and jalapenos in butter. Add 1 teaspoon salt and ½ teaspoon pepper. Cook until tender about 10 minutes. Add beer and cook until evaporated, about 5 minutes. Transfer to a large bowl and let cool for 10 minutes. 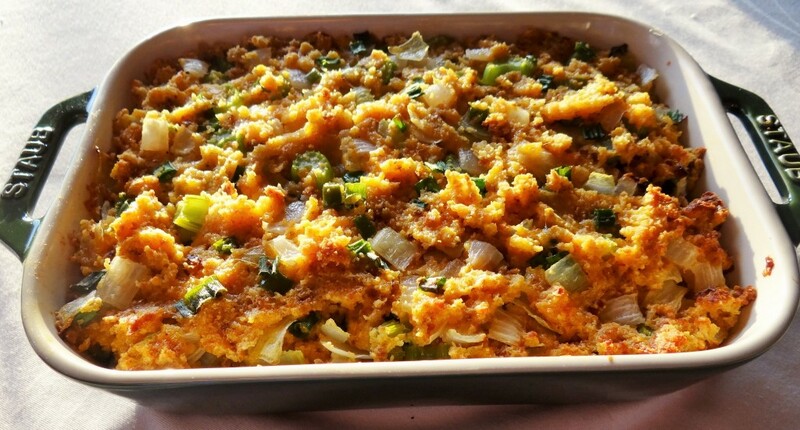 Add corn bread stuffing mix, broth, eggs, cheese and green onions to vegetable mixture. Season with additional salt if needed. Transfer to baking dish. Cover with foil and bake for 20 minutes. Uncover and bake until browned, 20-30 minutes more.